Chandler Proctor was born in Fuquay-Varina, North Carolina. 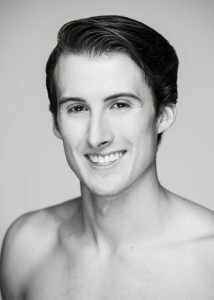 He studied dance in North Carolina until 2013, when he moved to Houston as a member of Houston Ballet II. He then joined Tulsa Ballet for the 2015-2016 season. With Tulsa Ballet, he has performed in works by renowned choreographers such as Jiří Kylián, Nacho Duato, Derek Deane, Wayne McGregor, Ma Cong, and Edwaard Liang.